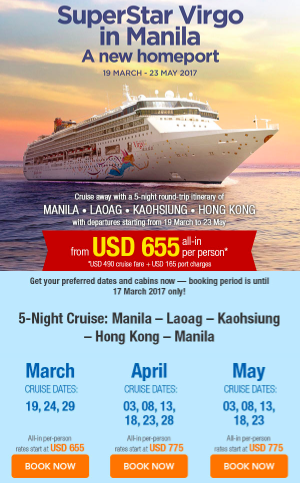 Macau - famous for it's grand hotel casinos with unique and amazing architecture, has always been tagged as a "day tour country". For some maybe, but for me, I'd say that I would always go back to Macau and never bother walking along its baronial streets to eat and shop. I'm sure you have read countless of times about Macau's great shopping offers but it wouldn't be as you have read it when you have actually experienced it yourself. It was crazy, how all of their hotels and shopping outlets have been entirely huge and always on SALE. Yes, they are always on sale: Christmas Sale, Valentine's Day Sale, End of Season Sale, Monday Madness Sale, and a lot more. It's an everyday haul! 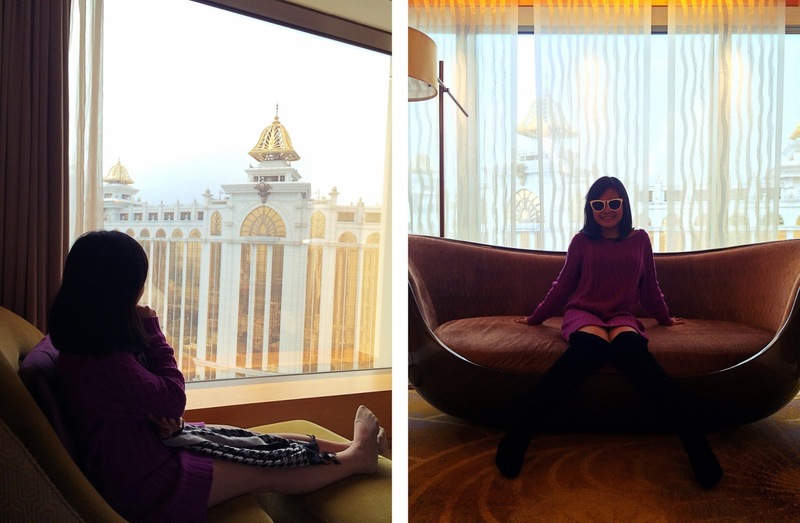 Only that for this post, I'm focusing more on our stay at the GALAXY HOTEL MACAU. I am beyond impressed when I saw it in my two naked eye, I can't imagine how these creative team of architects and engineers came up with something extravagant as this. I felt like I'm a small particle entering a majestic intergalactic space. 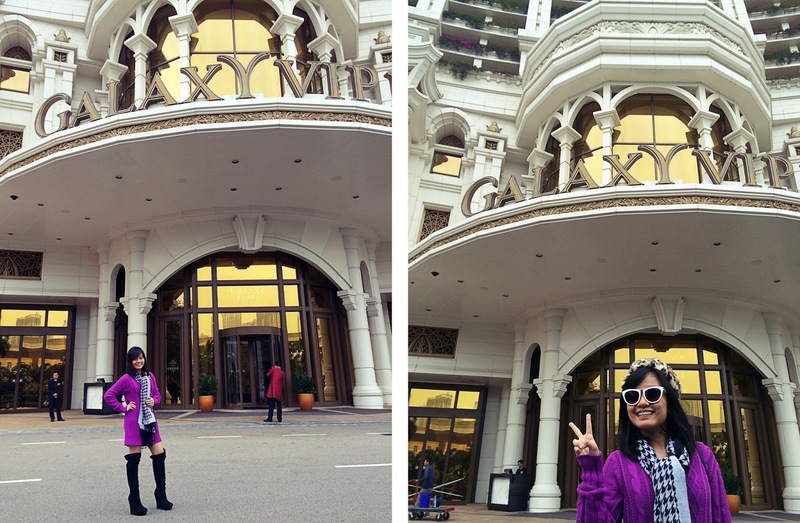 I told myself that it would be really impossible for me to roam around this hotel for just a day or two. It was huge yet really beautiful. The architecture is exceptional too. A lot of shopping boutiques and food hubs are up for grab. Do take note that there are also michelin star restaurants in there! Majority of the staffs were bubbly and accommodating, and most of them are filipinos too. Sadly, their pool deck is closed. Our room is situated at a half kilometer walk from the east elevator of the hotel. It may sound far but you wouldn't notice it that much. My mom booked a room 5 months in advance that's why we got a complimentary breakfast for two at Festiva. Since the hotel is huge, I suggest you wear the most comfortable shoes you have and get ready for a walking marathon. 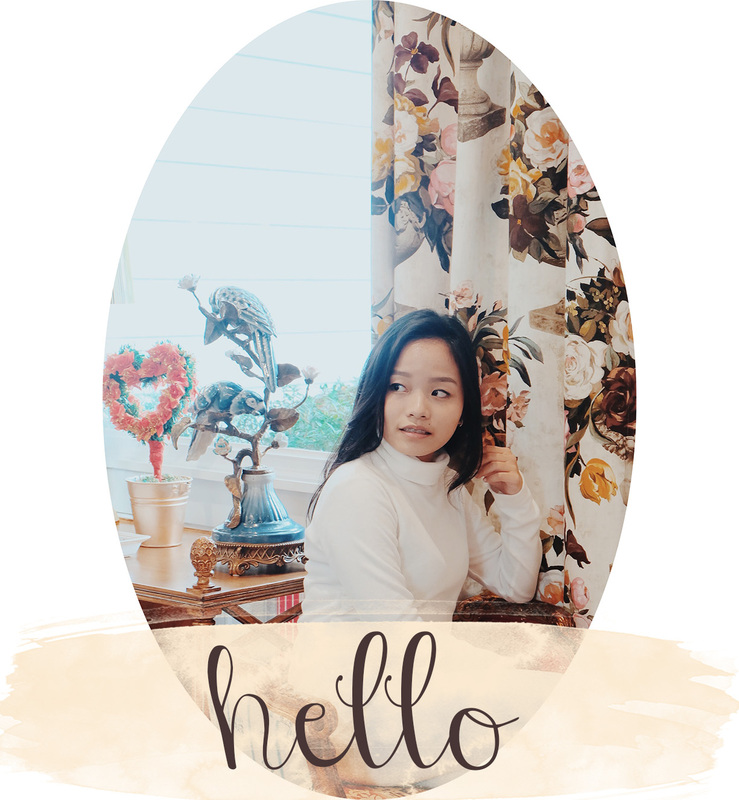 Though there are indoor shuttles that will bring you to your wanted destination, it would be a total waste if you didn't get the chance to walk on their golden tiles and explore a little bit more of their gardens, lobby, boutiques, and more. 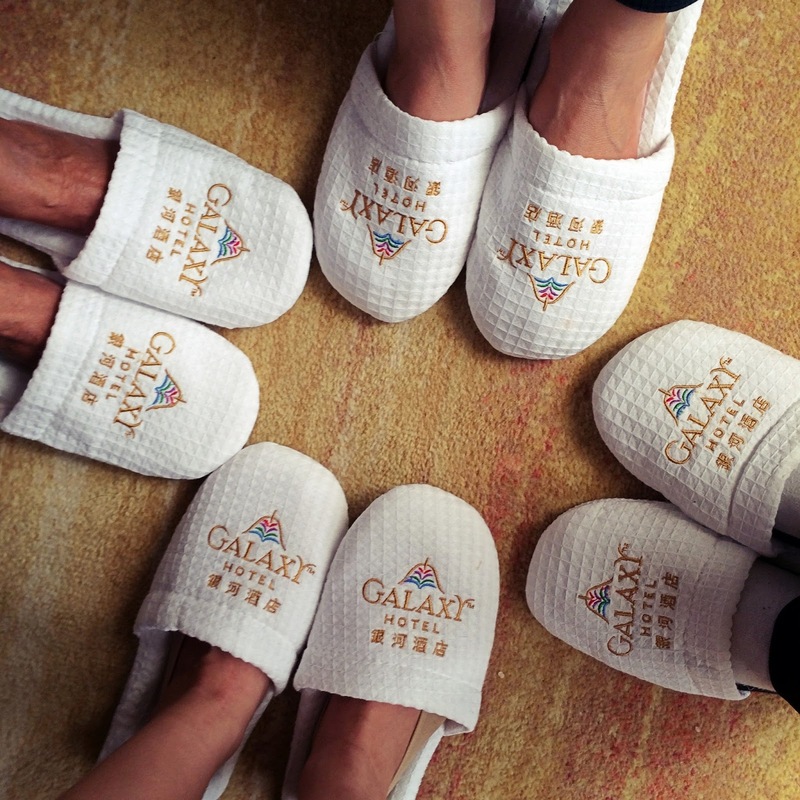 Galaxy Macau, unlike any other hotels in the vicinity, offers a huge water escapade which they call the Grand Resort Deck that holds the WORLD'S LARGEST SKYTOP WAVE POOL Sadly, during winter season, the outdoor pool is closed. 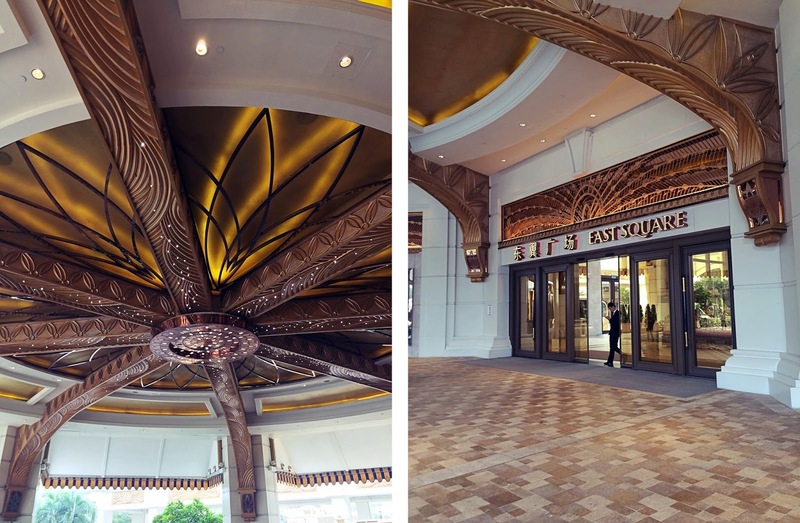 Galaxy Macau does not only offer a luxurious stay and a golden treat, but also, they do have fascinating fountain and musical shows inside. I've been pretty addicted in watching and replaying the video of their lobby shows that I would share with you on my youtube channel. Moreover, to give you the ultimate relaxation treat, the award-winnning Banyan Tree Spa, The Ritz-Carlton ESPA, Foot Hub Reflexology Center are all available to give you world-class service. The Galaxy houses Macau's Biggest 10-Screen 3D Cineplex. The Grand Theater features 4 exclusive balcony boxes to provide the utmost luxuirious and romantic movie experience one can ever expect. If you like a surrounding that is entirely new and modern, choose to stay here. 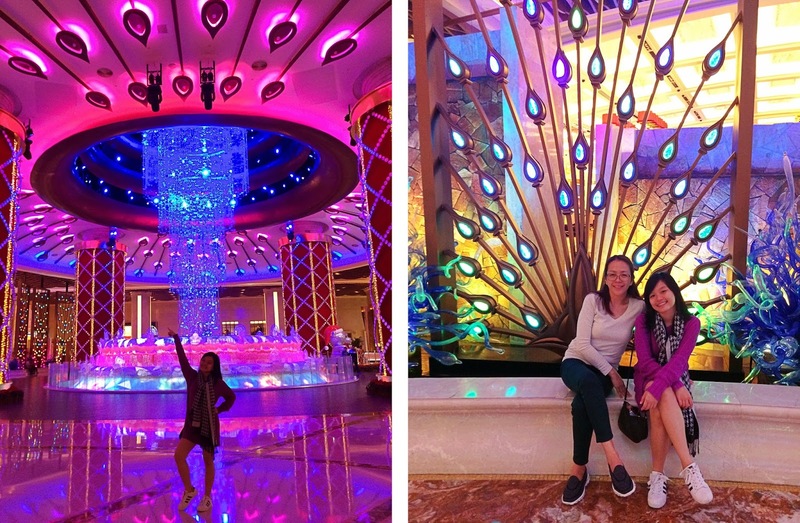 I don't know if I could talk about their Casino, but just a quick overview so you'll know what to expect: Unlike any other Casinos that I've been too (in Macau only), their Casino is designed to segregate the non-smoking and smoking area. Note that when you're in the non-smoking area, you'll not be able to smell any cigarettes which is totally cool because a lot of casinos still have a smell of smoke. And just to add, there are no barriers on the two areas, which is just so amazing! 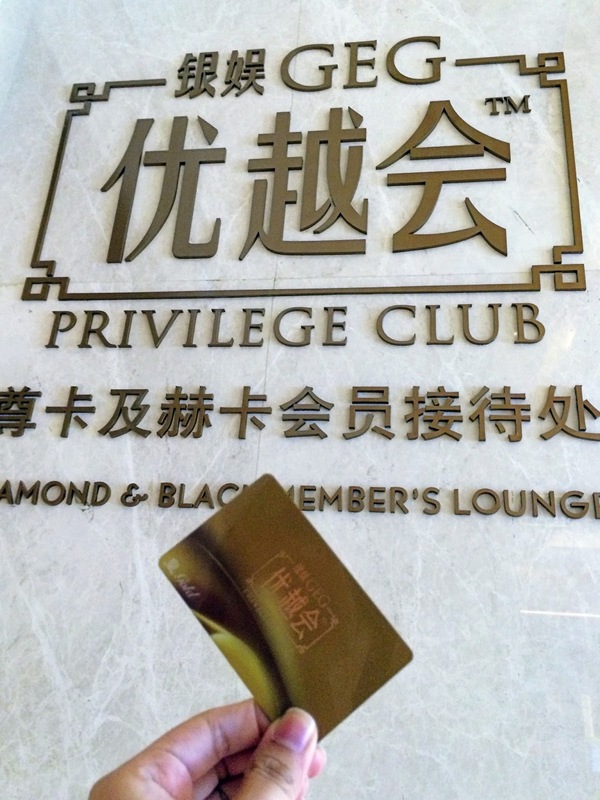 Truly, Galaxy Hotel laid out an opulent service. Shopping in the Promenade is good too, there are over 200 designer outlets, local boutiques, and souvenir shops. However, I've personally liked shopping at The Venetian more (Don't worry, I'll also do a The Venetian: Virtual Tour for you!). After spending time on shopping, stroll your way to the ground floor of the hotel to grab a bite. Under one roof, Galaxy Hotel holds over 120 award-winning restaurants and casual eateries. From authentic chinese cuisine, Western dining, and Asian favorites, they got you all covered. Did I mentioned that the hotel buffet was delightful? Try their hotel owned dining, "Festiva". 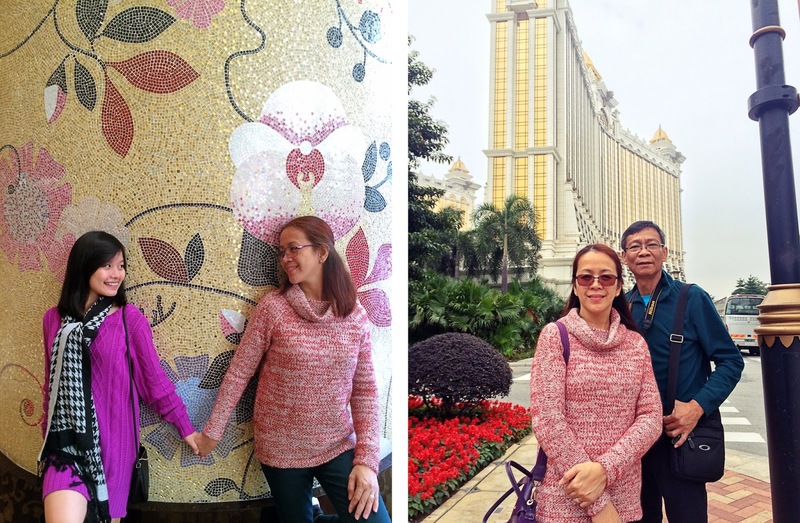 On the other note, if you would love to go to other attraction sites, like Senado Square and Macau Tower, the hotel offers a free shuttle both for their in-house guests and walk-in tourists. So viola, you don't have to shell out a lot for transportation. 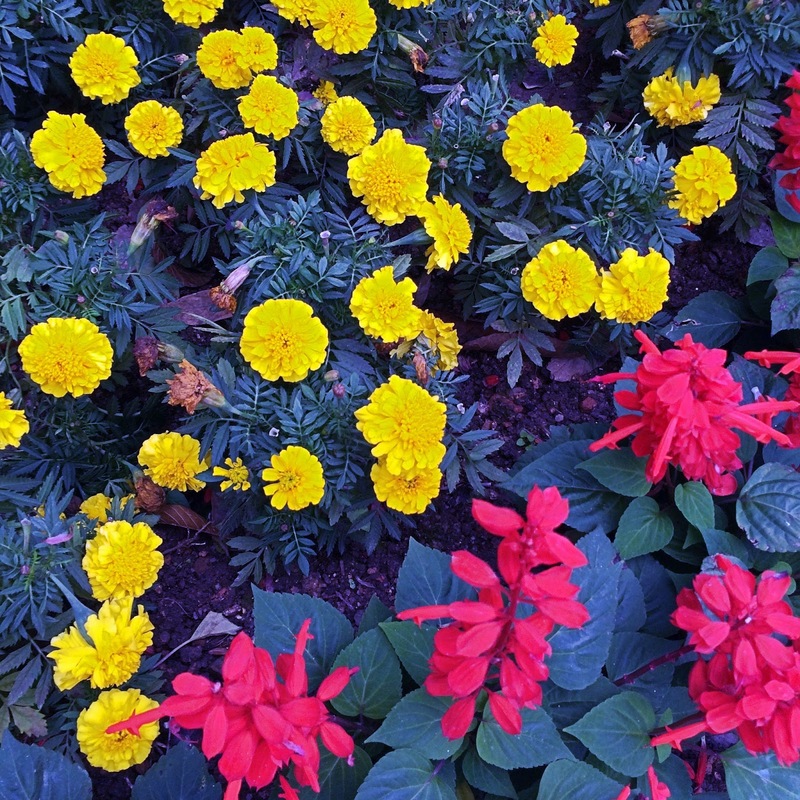 Photos are taken by IPHONE 5S only. 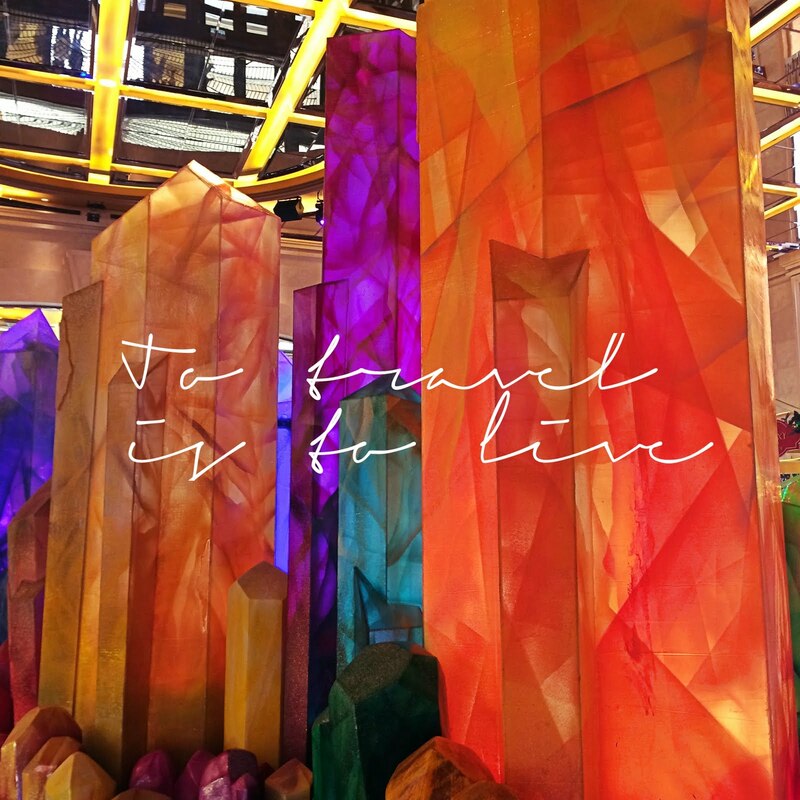 1 comment on " Galaxy Hotel Macau: Virtual Tour"